1. 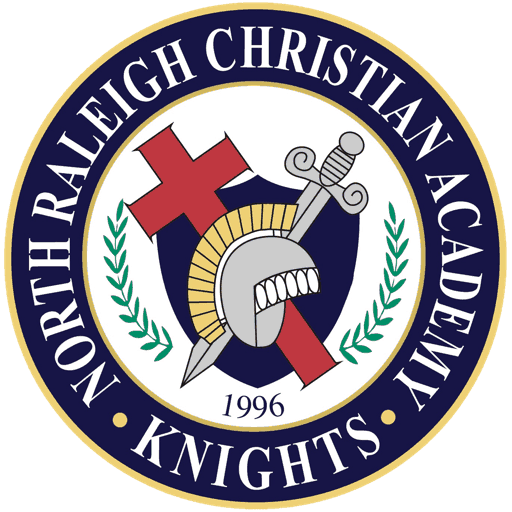 Christ-Centered Purpose: NRCA is a concept…a vision conceived in the hearts of parents in our community who saw both a tremendous need and an outstanding opportunity. NRCA is a commitment…a desire for excellence, for achieving one’s best, and for developing character that is pleasing to God. NRCA is, above all, a community…a group of people who love God, who are committed to Him, and who have given themselves to the ministry of evangelism, discipleship, and education. It is a quest to achieve God’s standard of excellence in all that is done; a commitment to raising and educating children to love God and serve Him whole-heartedly. 2. Character-Building: Character is frequently a neglected quality in education. We believe that a child’s character ought to be molded by God’s Word. NRCA is dedicated to shaping the lives of the students by teaching them the qualities which matter most–trust in God, honesty in word and deed, respect for authority, and kindness toward others. Central to our philosophy is the belief that a strong intellect alone is inadequate to face life’s demands. There must be strong character, rooted in God’s Word, for a fruitful life. 3. Home-Strengthening: Home and school should not be mutually exclusive or opposing influences in a child’s life. In fact, the best school is one that supports the home and reinforces the values taught. We desire for parents to be actively involved in their children’s educational experiences: assisting leaders, sponsoring clubs and participating in field trips, as well as daily overseeing academics. NRCA’s administration and teachers do not view parents as intrusive, but as partners in the exciting privilege of providing children with the fullest, most well rounded education possible. 4. Outstanding Staff and Program: Outstanding describes the faculty and staff of NRCA. We seek qualified and experienced teachers who are certified or can be certified by the ACSI, Advanced, and/or State of North Carolina. The faculty members are exceptional both professionally and personally. Our approach to curriculum is outstanding. Our teachers are trained in classical methods to add creativity, critical thinking skills, and understanding of one’s learning style. NRCA has a system of academic field kindergarten through 12th grade that accent the classroom experience. NRCA offers a variety of sports opportunities. Boy’s sports include football, wrestling, soccer, basketball, baseball, swimming, track, tennis, golf, and cross-country. Girl’s sports include volleyball, basketball, swimming, softball, soccer, track, swimming, cross-country, golf, tennis, and cheerleading. NRCA offers excellent fine arts opportunities in art, drama, band, and choral groups. There are also local, state, and national competitions. 5. An Oasis: Sending our children into a world exposed to dangers unknown to previous generations is a legitimate concern of parents. An oasis is a place of refuge and refreshment. This is certainly an apt description of NRCA, where girls and boys are greeted each morning with cheerful words and an encouraging spirit. NRCA is a place where students are reminded of their significance, where they can relax in an atmosphere permeated with love and acceptance, and where they are spiced with the right kinds of challenges. 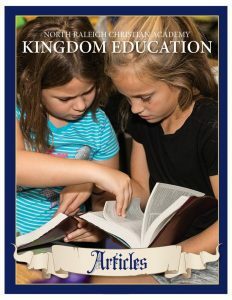 NRCA students are safe, secure, and able to concentrate on the thrilling adventure of learning. 6. Life Changing: NRCA has one of the finest academic programs, but gaining knowledge is not enough. Children need a godly, personal, and loving influence to change their lives and allow them to be all that God intends them to be. The administration and faculty desire an educational experience that affects their entire life. We want the students of NRCA not only to make a living, but to make a life.